Instagram has introduced two new features to it’s ever growing following in the last couple of weeks, so we wanted to let you know what you can expect from these updates. It was only a matter of time before Instagram added this to its portfolio, and with the astronomic rise in popularity of Facebook Live, it’s time that it was introduced to Instagram too. However, there is one big difference to putting out live video on Instagram to that of Facebook or Periscope, and that is that it ‘disappears’. Facebook and Periscope both allow you to view the video after the live streaming has finished, but Instagram doesn’t give you that option. That means that it is live, and only live. It has just started rolling out the feature in the last few weeks, and we should all have access to filming live video in the next couple of months. Once the function is available to you, all you need to do to go live is swipe from the camera. 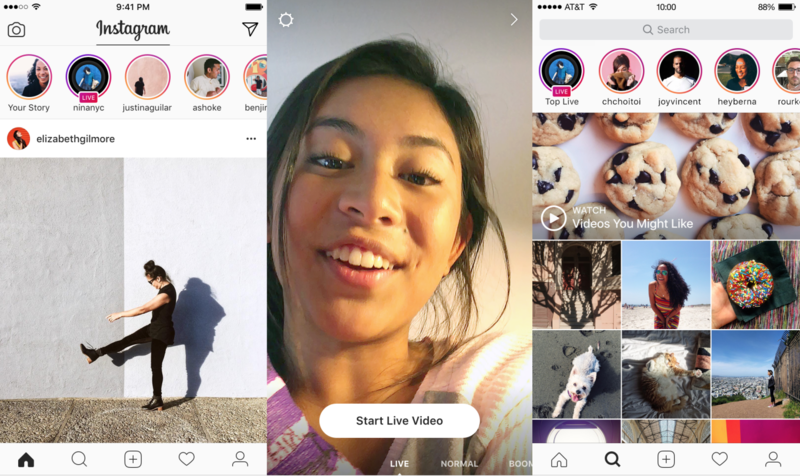 Instagram will give suggestions to your followers to come watch you live, and you will also get a ‘live’ tag on your stories bubble, which appears at the top of the newsfeed once you are active. Like other channels, your viewers can comment on your live stream, or tap to add hearts (which will have their faces within them). Viewers can also comment on the video like on Facebook Live. However, you also have the option to hide comments or buttons from your viewers so they don’t distract them while watching your feed. 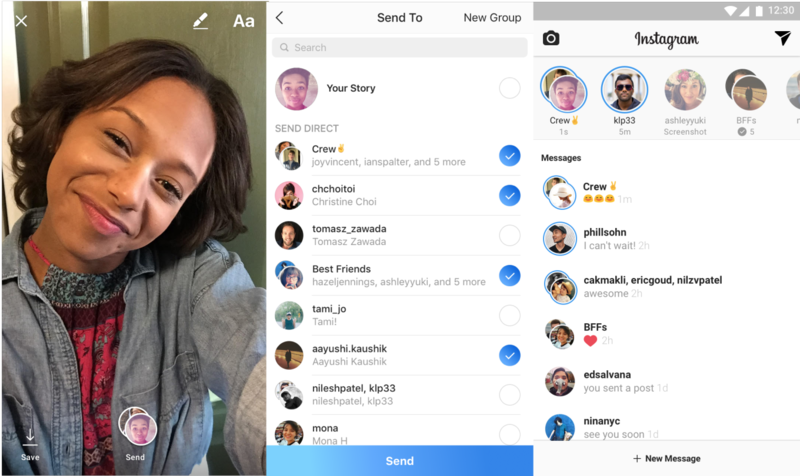 As well as live video, Instagram has taken another huge leaf out of Snapchat’s book and is introducing direct messages that can only be viewed twice. You can send images to individuals or groups that expire once you have viewed them – although you do have the option to replay the message just once. By clicking on the direct messaging button in the top right hand corner of your feed you can access your messages, and can then choose who you want to send yours to. It can be an individual, or a group and you can engage through those messages with each other – meaning there can be a lot more private communication between you and your friends. This is pretty identical to Snapchat messaging, and after the introduction of Stories in Instagram earlier on this year it looks as though the platforms are merging into the same thing. However, each platforms follower remains loyal to their own, so it will be interesting to see how the new features affect the numbers. Both features are being rolled out slowly so we will watch with interest to see how they develop. We will be writing more blogs to explore how these new features can help your overall digital marketing strategy so please keep an eye out! As always, we’d love to hear your thought so please do tweet us on @Cosmic_UK.